The December beating and robbery of Chicago Mayor Rahm Emanuel's son was tagged "confidential" by the city, which prevented the incident from appearing in the city's vaunted crime "transparency" site. That's the word from Tom Schenk Jr, the city's chief data officer. CWB reported exclusively last week that the Emanuel robbery had gone missing from the city's public Data Portal, even though the web site is a cornerstone of the city's crime transparency efforts. A total of 178 crimes were deemed "confidential" over the past eight years, Schenk said, adding that all of the crimes are now included in the Data Portal. Schenk had previously stated that 115 crimes were affected. The specially-categorized crimes should have been listed all along, he said. Schenk spoke to open data enthusiasts Tuesday evening at Open Gov Hack Night in the Merchandise Mart. 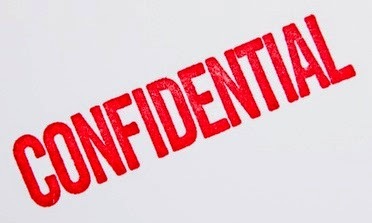 What exactly are the other 177 crimes that the city deemed to be "confidential" matters? What qualifies a crime for "confidential" status? Why is there a need for "confidential" crimes? What does that status mean? Are there other categories of crimes that affect the Data Portal's accuracy and government transparency? More than 2.8 million crimes have been reported in Chicago over the past eight years, according to the Data Portal, making those 178 "confidential" matters very rare birds. Schenk did not responded to a Tuesday afternoon email inquiry about the missing crimes, nor has he responded to a tagged Tweet from this weekend in which we sought more general information. And, the Chicago Data Portal's Tumblr moderators have not responded our "Ask Me Anything" submission. We're looking forward to getting detailed information for you. In the interest of transparency, of course.